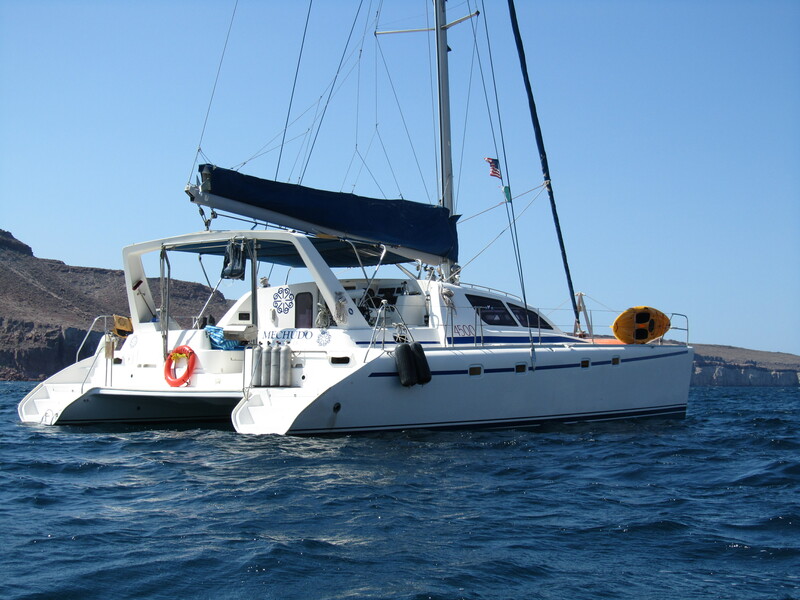 A sailing trip aboard the 45′ Catamaran, El Mechudo in the Sea of Cortez is the most intimate, ideal, and flexible adventure available! 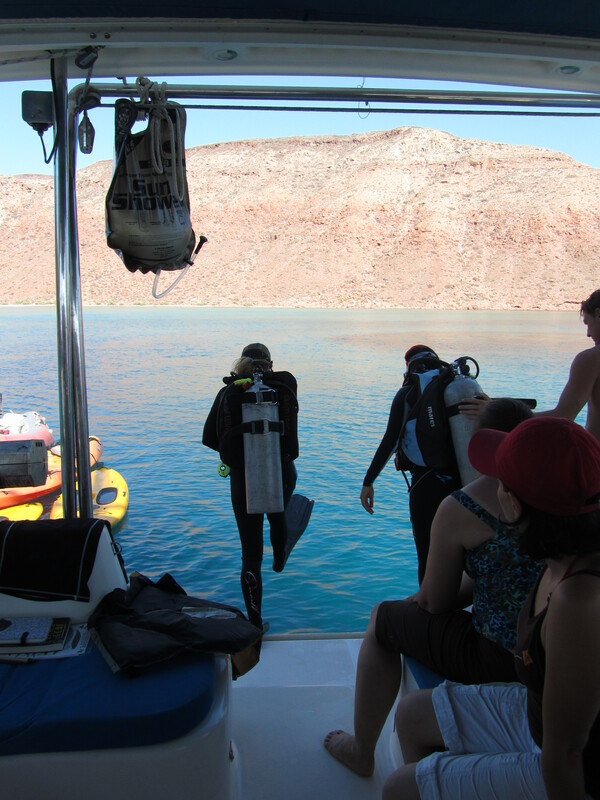 If you have ever considered a trip to Cabo San Lucas because you thought it would be a fun and effortless family vacation to plan, we have an alternative for you: La Paz, the heart beat of Southern Baja is the perfect place to really enjoy Mexico’s beauty and spend memorable moments with your family and friends. If a chartered sailboat complete with Captain and Chef who both serve as naturalist guides, that is only available to private groups, sounds a little out of reach, it isn’t. A typical four night vacation spent in Cabo can cost a family of 4 upwards of $5,000, not including airfare. We are talking hotels; activities like snorkeling, kayaking, whale watching, beach time; meals, drinks, entertainment, etc. All the while being hassled by small time tour operators vying for your dollar. Why not find another family, or a group of friends for an adults’ cruise, and spend four nights aboard the 45’ Catamaran, El Mechudo. We create each itinerary based on the desire of your group and you become the captain once you board – stop for special whale, dolphin, bird, turtle, sea lion, and other marine critter sightings; hike the geologic relics of Isla Espiritu Santo; paddle stand-up paddle boards and kayaks in protected waters; snorkel with friendly sea lions, hundreds of tropical fish, and maybe even whale sharks. You can fish for your dinner (permit required). Have happy hour with your friends and witness extreme sunsets that just never seem to end from the tranquility of the protected bays of the isolated island. You make your itinerary, we make it happen. We provide all meals (custom planned by your preferences), drinks (sodas, juice, tea, wine, beer and cocktails), activities to match all skill and interest levels, equipment for snorkeling, kayaking, stand-up paddle boarding, even fishing and diving gear, if requested – basically, everything you need for an ultimate vacation. All inclusive. For only $1,100 per adult in a group of 8, or $4400 per family of four, we can show you the best of Baja on your own chartered sailboat! Download this PDF to share with your friends and enjoy this limited time 10% discount! Contact us today to start planning your ultimate cruise in Baja! P.S. You can stay the night before and the night after your trip on-board or in a lovely hotel in La Paz (not included) and arrange airfare through Cabo San Lucas (SJD) or La Paz (LAP) International airports (also not included). This entry was posted in Announcement by emilybaja. Bookmark the permalink.